We are able to bring fresh new variety whether you have one art supplier or many. Our Art Director and Design Staff work hundreds of hours to ensure that you have a steady supply of artwork that is well-suited for your market. With over 2,100 images in our current offering, Gango Editions delivers a broad range of sizes and images. Our large 48” x 36” prints can fill the biggest space. Our petite 5” x 5” prints are small enough for the best gift outlet. Print-on-Demand allows you to customize any image for your project! Our range and variety are the keys to our success and we hope they help make your job easier. 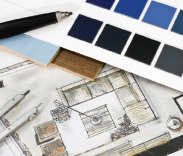 We offer a compliment of catalogs, website, pricing, and design tools to get the job done. Call to get started or expand your own product offering today.